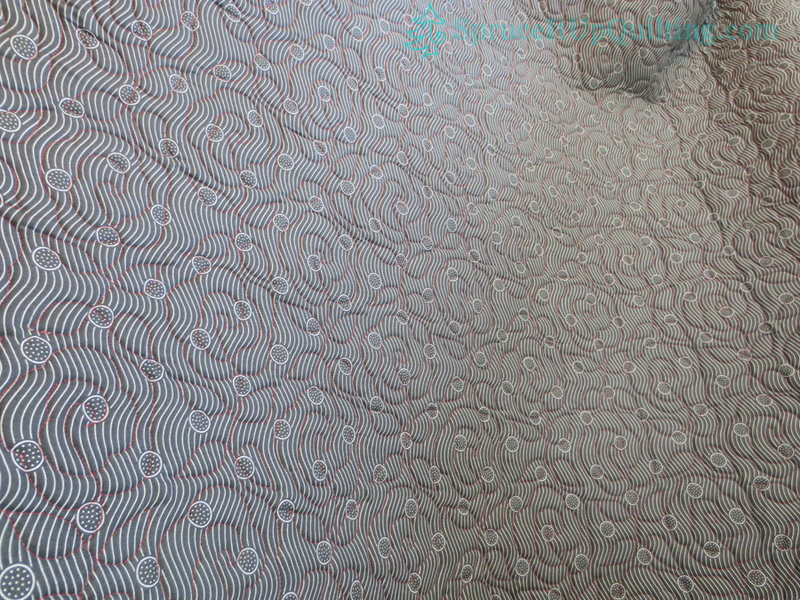 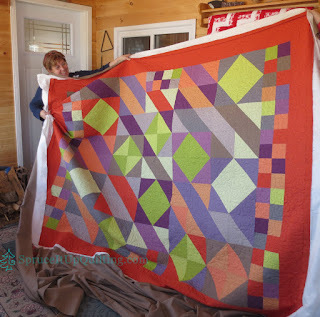 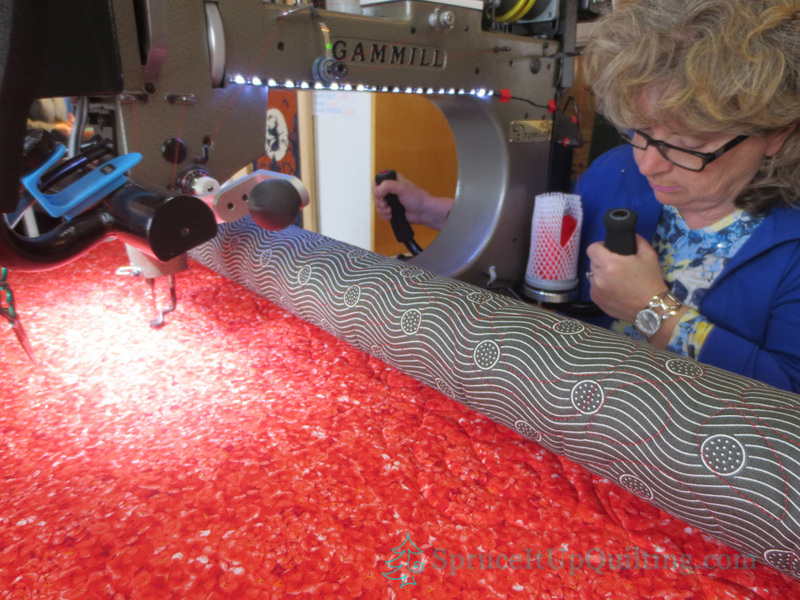 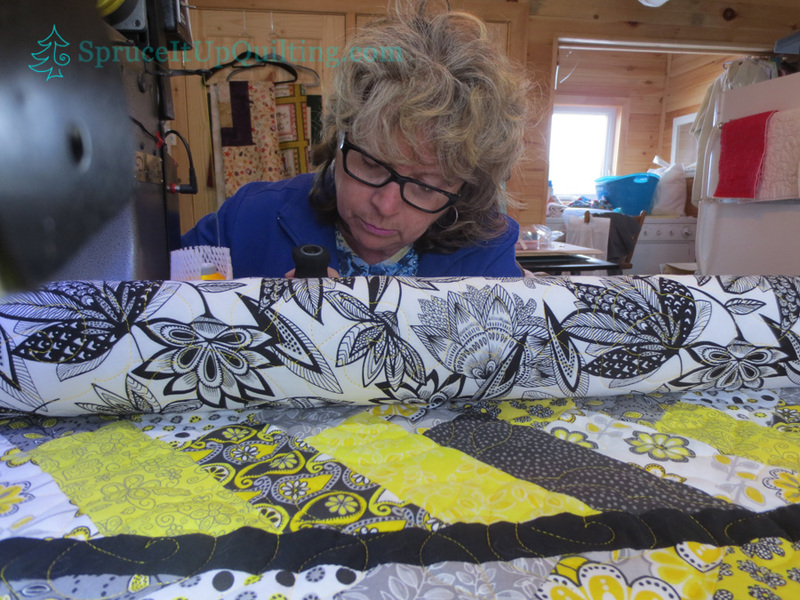 Spruce It Up Quilting: Fabrics and Quilts Galore! 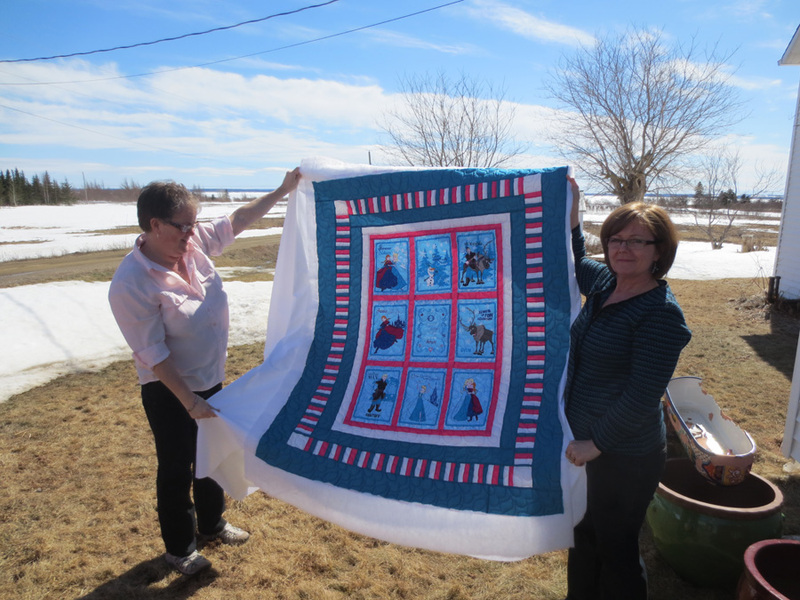 Here's what happened the week of April 13th. 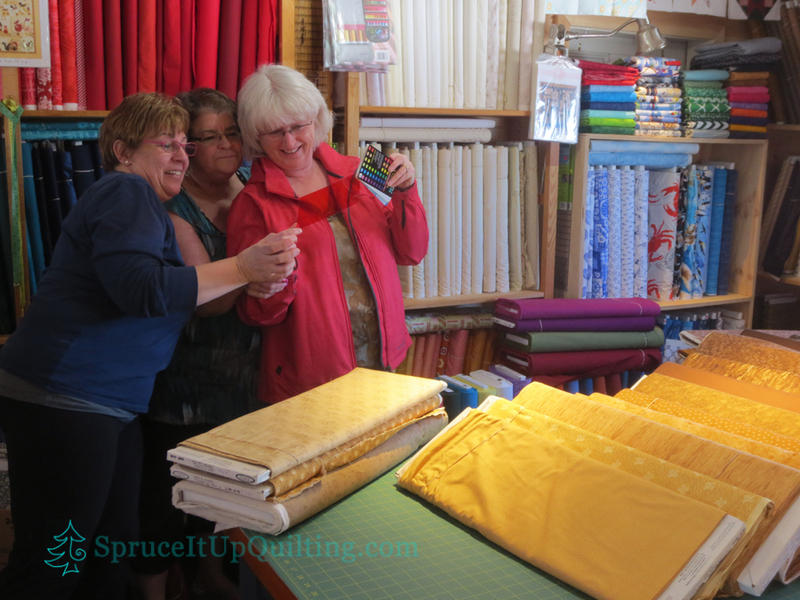 It was a busy 2 week period beginning with the previous as I gave 2 workshops/trunk shows and it was sale week at Spruce It Up. 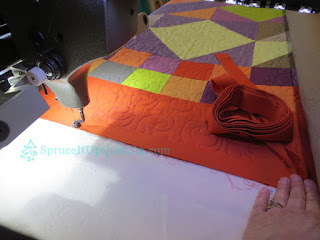 Photos and a finish: Very pretty braid in these colors! Photos and a finish: A wonderful bag in the making! 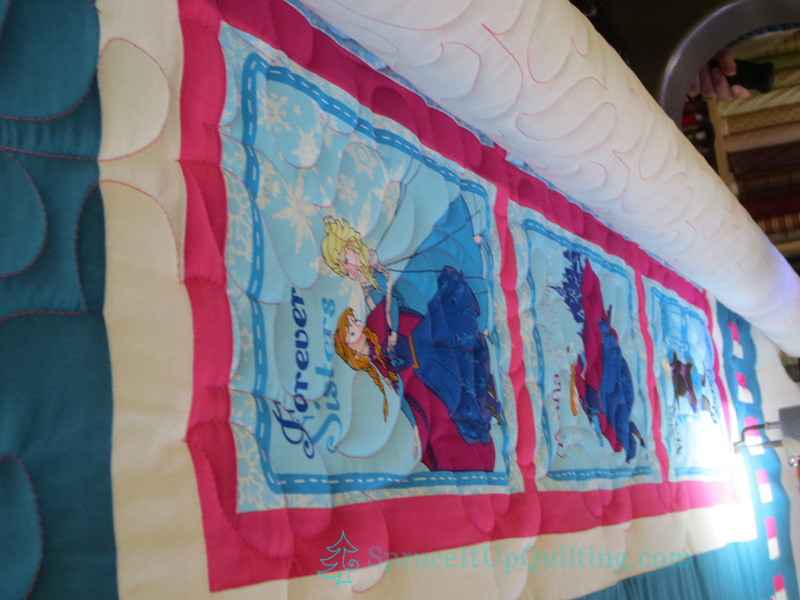 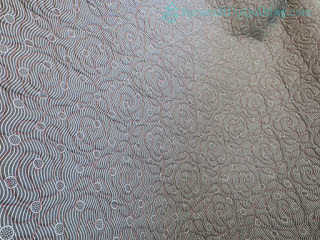 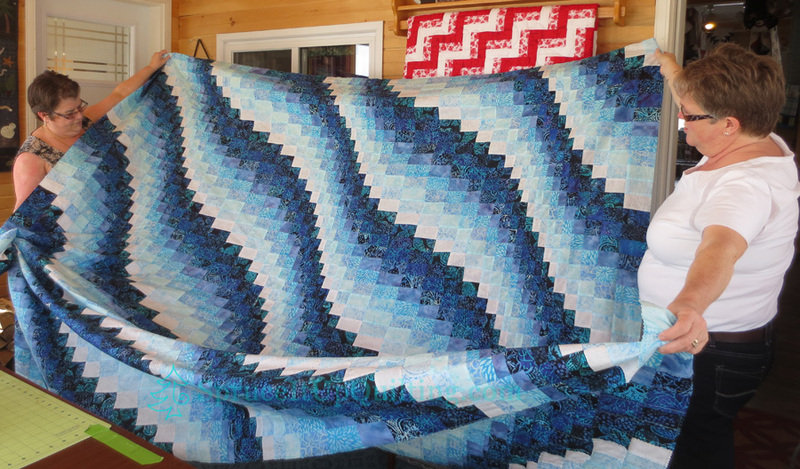 Lolah loves Soft and Stable and the product quilts up beautifully! 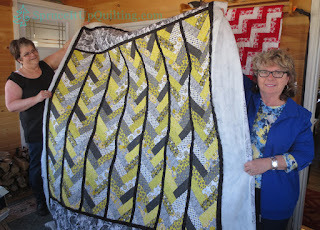 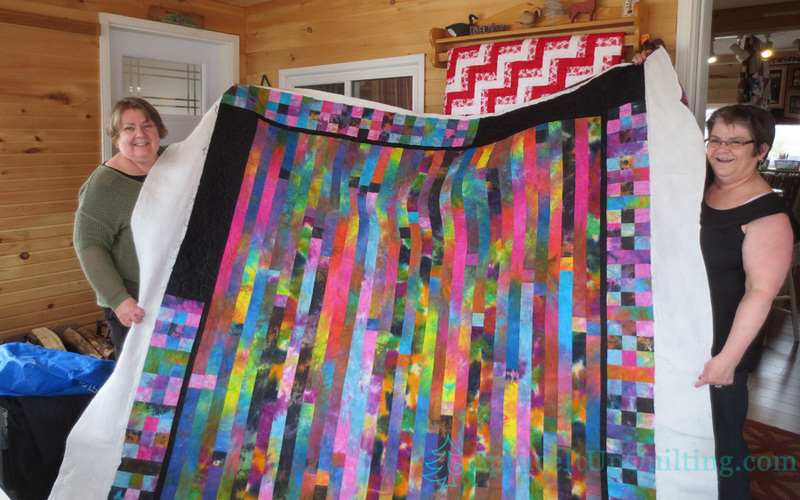 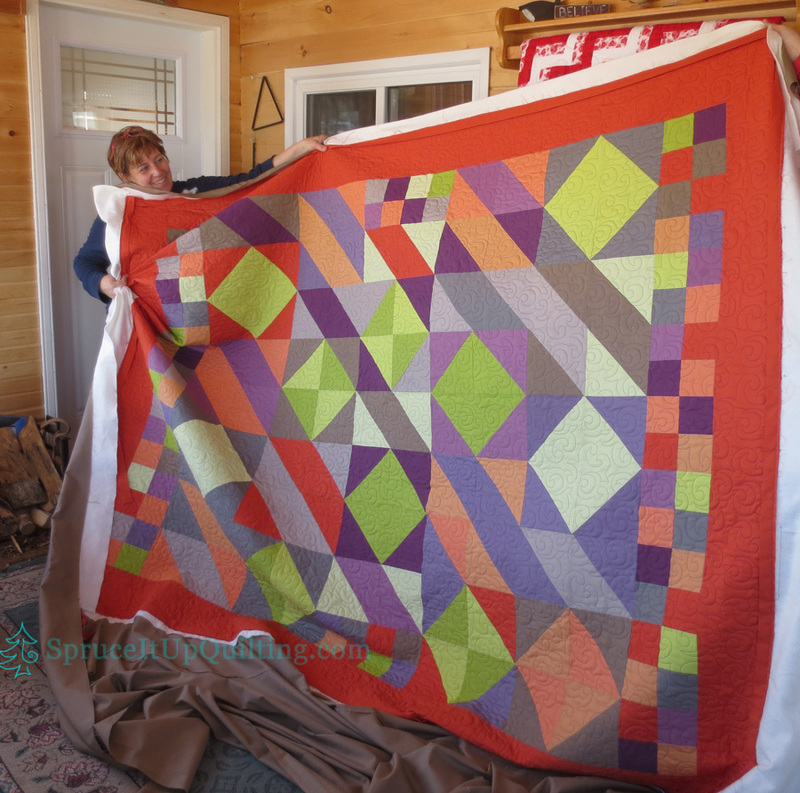 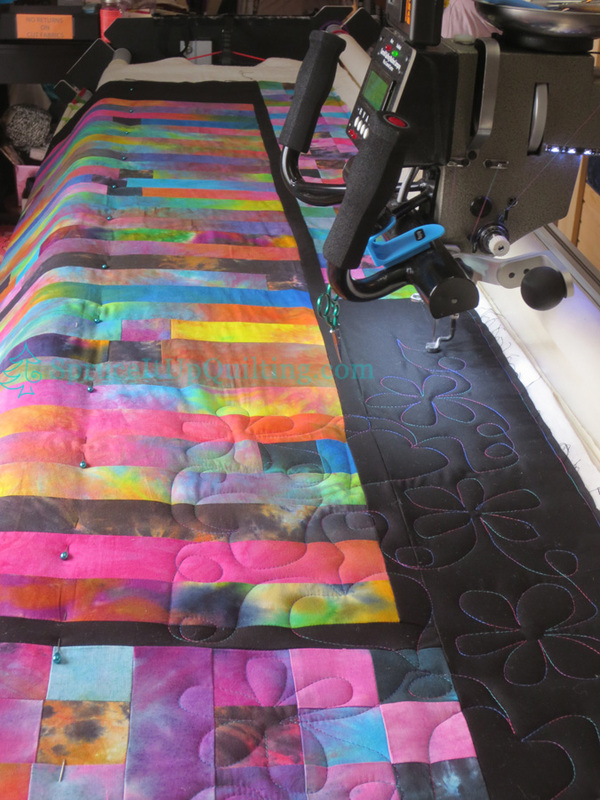 Photos and a finish: Ann has a very steady hand and did really well on both quilts! 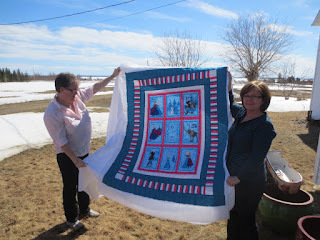 Photos and a finish: This is really sweet! 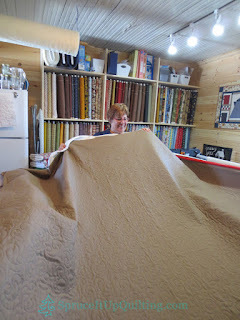 Her friend dropped by to have a go with Lolah during her lunch hour! 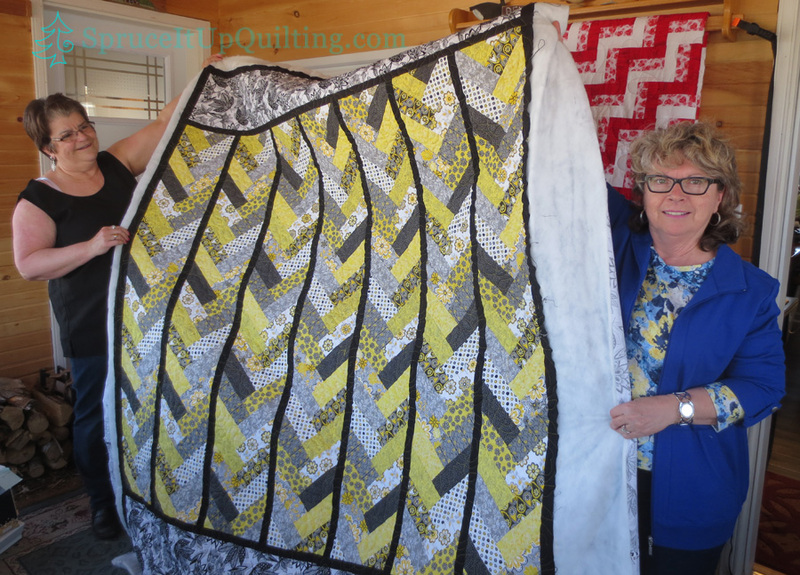 Photos and a finish: Another gift for a teenager in need! 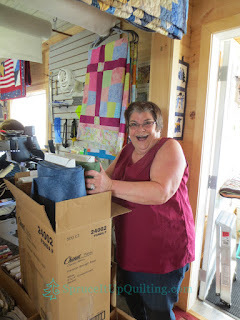 Kindhearted Marilyn!!! 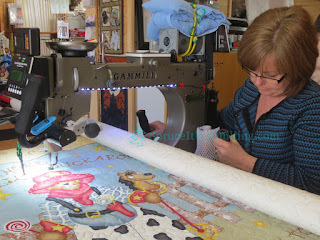 This just sparkles Marilyn!! Love that border detail! 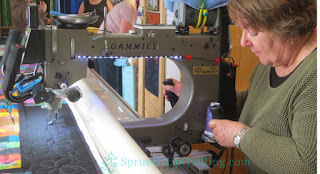 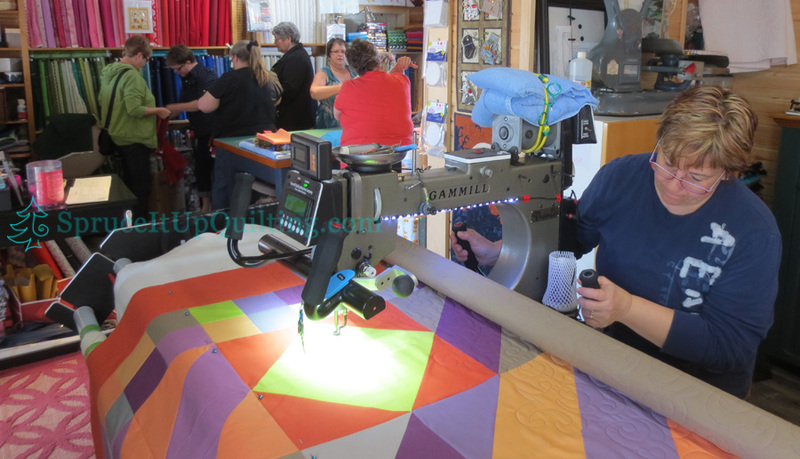 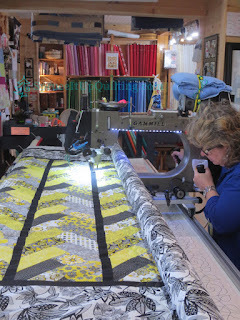 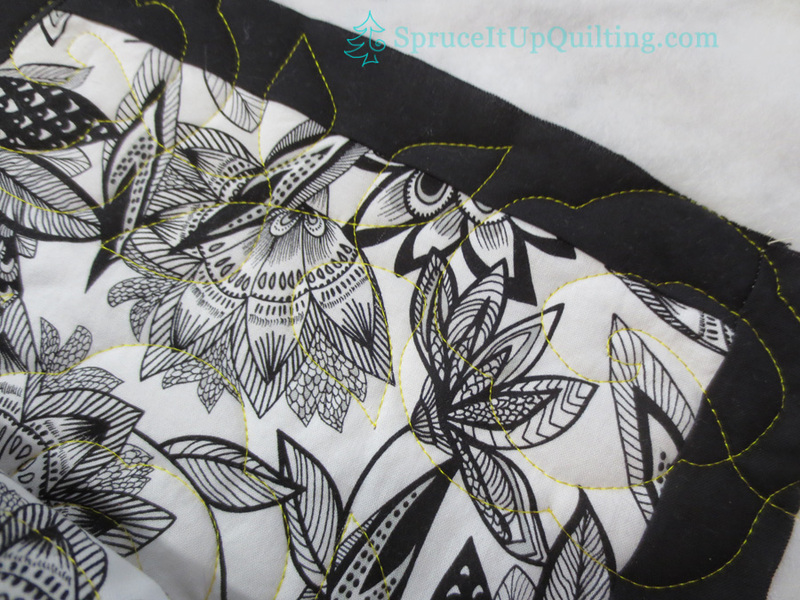 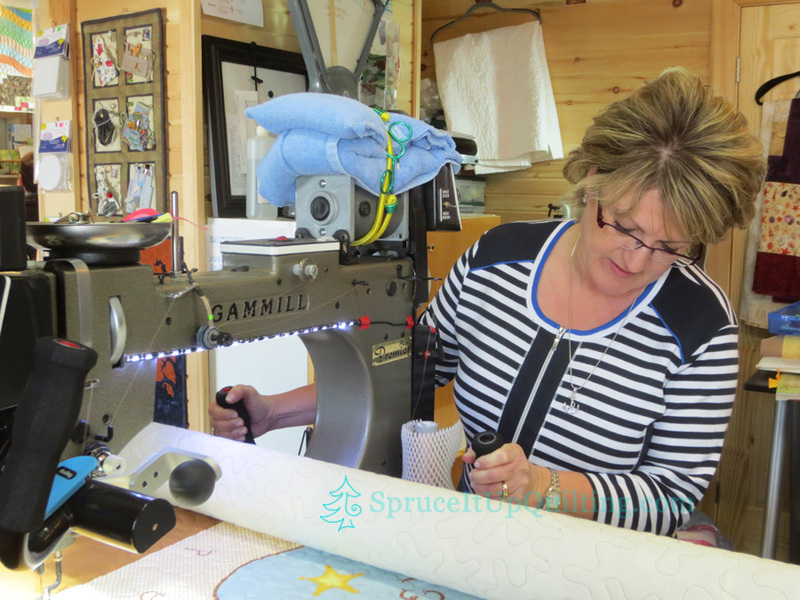 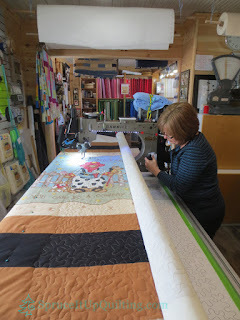 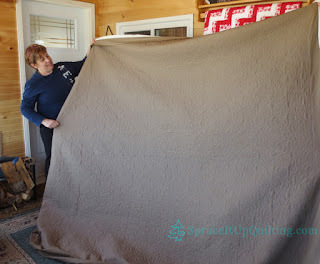 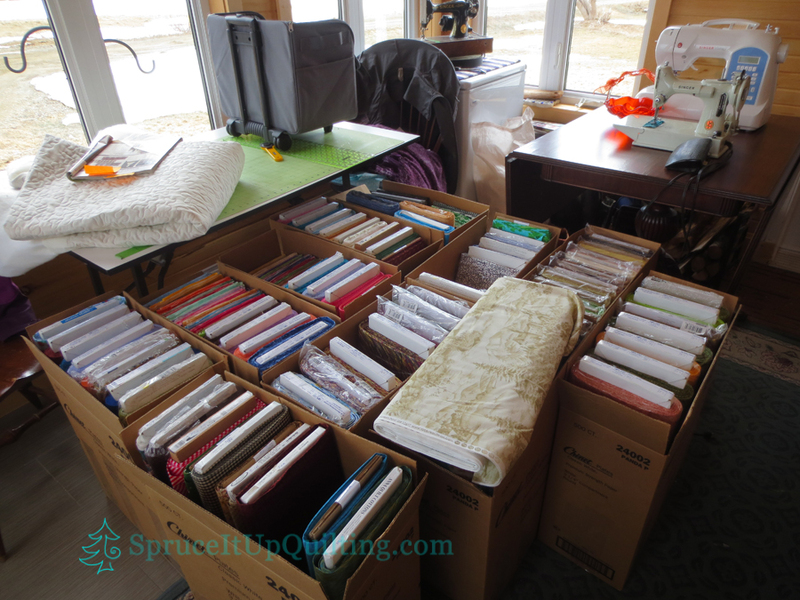 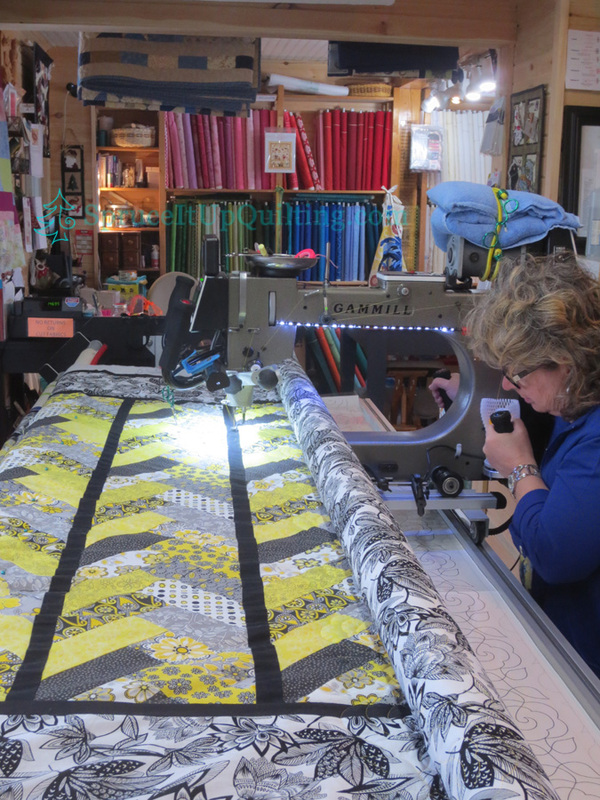 A feature we love at Spruce It Up is to apply the binding while the quilt is loaded. It is so much faster but it does require a steady hand... a skill Lise possesses. 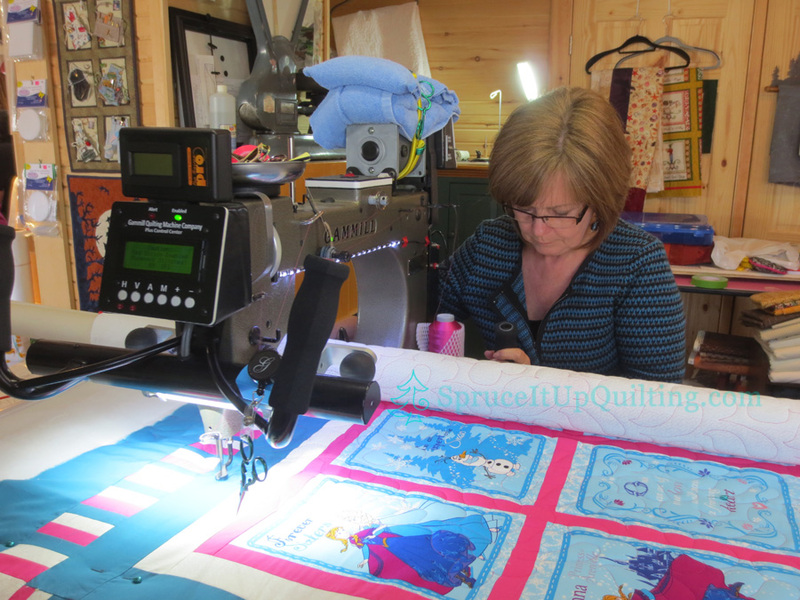 It's not always quiet while someone is on Lolah! There's hustle and bustle going on here! 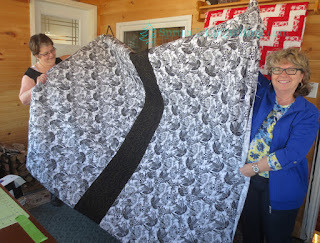 Check out the Show and Tell page (look on the header for it) and see the work brought in that week. 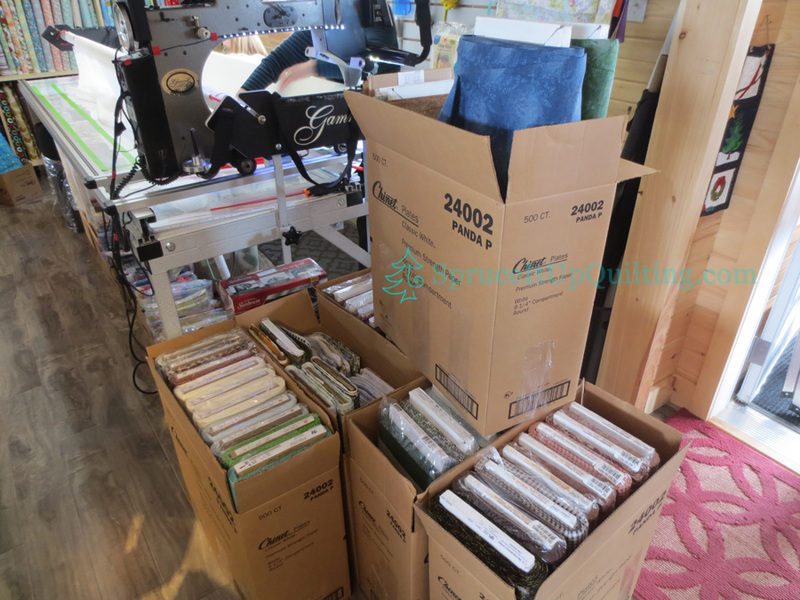 Shortly after the sale we received a new order of fabrics! 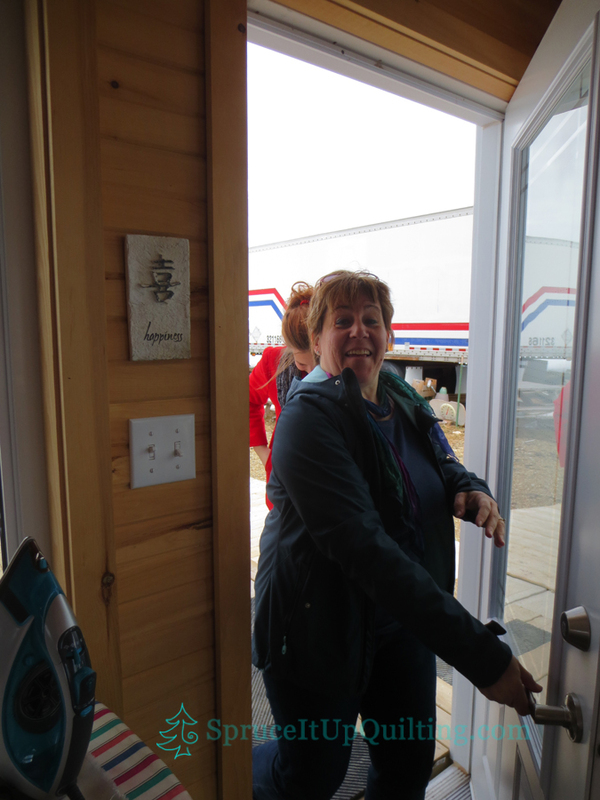 Yes we do get excited to see new bolts! and chose their favorites for the Bargello class! 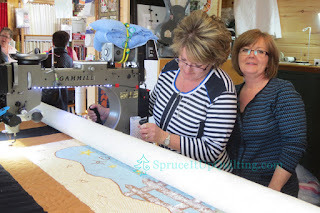 Here the girls are looking through a value finder. 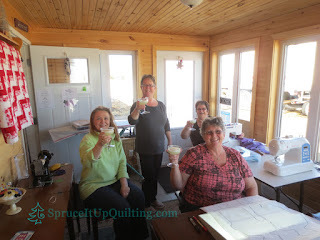 We do take time for ourselves! Sew evening with friends... Despite what the sign says, the shop was closed and it was after-hours! Hollie brought her Margaritaville and treated us all to a refreshing drink... dinner by our in-house chef followed. 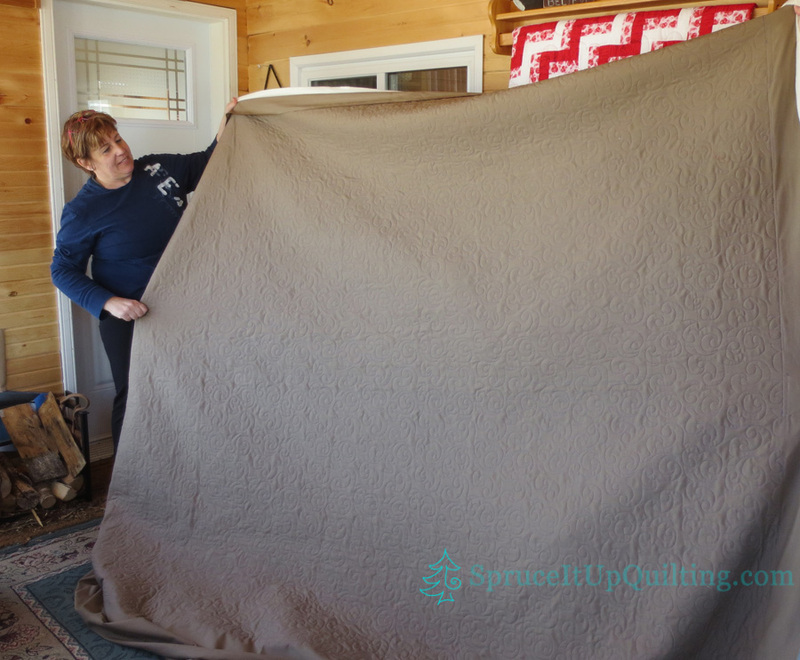 Take time for yourselves! Have a sew day!